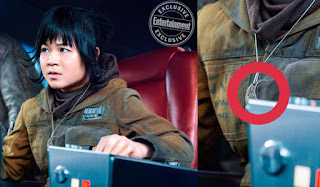 Home / _Movies / Adam-Driver / Daisy-Ridley / John-Boyega / Mark-Hamill / Movies / Rian-Johnson / star-wars-last-jedi / Carrie Fisher Pushed for "Space Jewelry in "Star Wars: The Last Jedi"
Carrie Fisher Pushed for "Space Jewelry in "Star Wars: The Last Jedi"
Why do they wear jewelry in The Last Jedi? Thank Carrie Fisher. Fans have noticed that the costumes in the latest Star Wars film include jewelry. None of the women wore earrings. No one wore necklaces or rings, but that's changed in this movie. 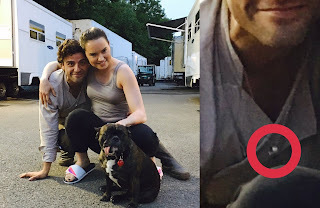 Poe Dameron (Oscar Isaac) wears a necklace with a ring and Rose (Kelly Marie Tran) wears a crescent-shaped necklace that she says is important to her back story. "That is definitely something that is significant to Rose’s backstory," Tran told Entertainment Weekly. "It is an object that she kind of has throughout the film and it is representative of more than the object itself to her. So, yeah, that’s all I can say. It has significance that is, to me, something that means more than just what the object itself is." 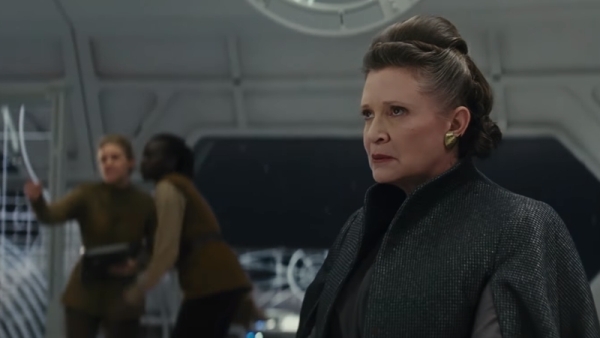 In addition to looking great, the jewelry in The Last Jedi may have important plot points. It's been speculated by Making Star Wars that Luke Skywalker wears a special necklace and Snoke's ring is also special. 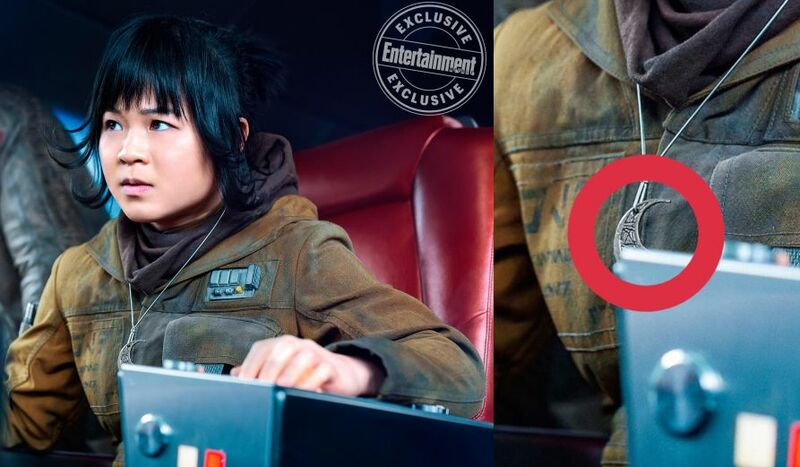 This morning director Rian Johnson gave, at least, one reason for the jewelry in The Last Jedi. In rehearsals Carrie grabbed my arm and told me with great urgency that we needed “space jewelry.” I thought that was a fabulous idea. So. "In rehearsals Carrie grabbed my arm and told me with great urgency that we needed 'space jewelry'," Johnson said. "I thought that was a fabulous idea. So." This may not be a true story or it might be one he's embellishing. But it matches everything we loved about Carrie Fisher's bold and forceful personality. Plus, they look great. What do you think of the Space Jewelry? I'm sure the marketing department liked it too. Then they can sell replicas like that Titanic necklace.